NCR has developed smart thin-client cash machines to replace ageing Windows XP-based ATMs and claims the new machines will be 40% cheaper to run. The installed base of cash machines runs embedded Windows XP in a thick-client configuration, connected to banking private networks. According to Robert Johnston, director enterprise software at NCR, the average running cost for these traditional ATMs is $20,000 each. He said NCR's thin-client ATM can be run 40% more cheaply, giving an annual running cost of $12,000 per ATM. Alongside the operational savings, Johnston said banks could also offer improved services to customers. "Retail banks are under a lot of pressure due to the cost of doing business and regulatory burdens," he said. At the same time, consumers expect better-quality service and more mobile and internet services from their banks. By using a thin client, banks would be able to introduce new services onto the ATM more easily, said Johnston. The ATM uses NCR's thin-client software, called Kalpana, which runs on Android. Nationwide has deployed TestPlant as its testing platform for the development of mobile and web browser applications. Lintel Bank has applied for a UK banking licence. Mobile operator Vodafone is enabling its customers to add banking functionality to their Vodafone Wallet. Andy Monaghan, director of engineering at NCR, said: "Our thin client takes full advantage of web technologies. We use Enterprise Java and are taking full advantage of Rest-based APIs and HTML 5. "On a traditional thick-client ATM, it is expensive to modify the software. But on a thin-client ATM, all software changes are managed centrally." Technically, NCR has deployed some software on the thin-client ATM to manage the state of the operating system and record the progress of a transaction. Monaghan said: "Using thin-client technology means banks can quickly deploy new services and personalise transactions to the consumer." Some services can be driven to consumer devices, such as customers' smartphones, blending the bank's mobile application with the ATM experience. "Banks could have an omni-channel experience," said Monaghan. From a security perspective, the mobile phone would not talk directly to the ATM, he said. Instead, it could communicate over the internet to the bank's mobile back end, which then talks to the ATM over a secure private network. According to Monaghan, this would allow the bank to deliver a consistent set of services that could interact with each other. Over the coming years, NCR expects banks to refresh 10-20% of their cash machines each year, so a full roll-out of thin-client, smart ATMs could take at least five years. 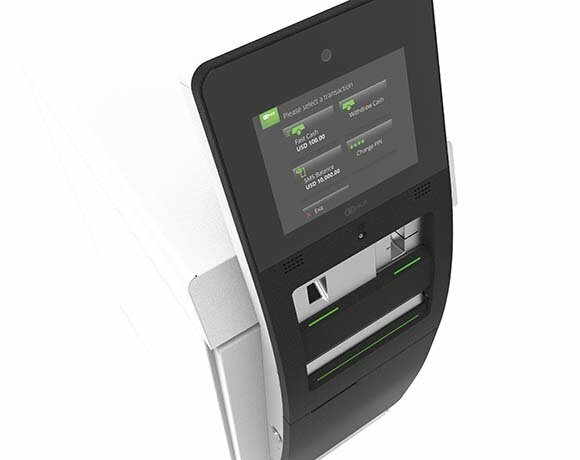 ATM operator Cardtronics plans to pilot the Kalpana software and thin-client Android ATM at locations in the Dallas-Fort Worth area in the US, beginning later this spring.